Myself and my best pal went on a Scottish Day Tour with Lothian Motorcoaches to Loch Lomond 23/7/18. The coach pick us all up at Charlotte square, just round the corner from Fraser’s (top of Princess Street) we started getting introduced to Scott our Guide for the day also Joe as he was showing Steven directions as it was his first day driving this day tour to Loch Lomand. We were on our way to Loch Lomond , our fist destination which was pretty cool going on a boat round Loch Lomand. Some sat down inside having a cuppa and looking out the window and some peole stood outside,like myself as I was taken photos, the only thing was, it was raining a bit. .
After Loch Lomand, we got on the coach to Aberfoyle for lunch at the Fairy Tree, some people went else where for lunch. After lunch we went to the Scottish Wool Centre to see some sheep with horns and a talk demastration to find out about them. After that we got back on the coach to Doune Castle our last destination. Myself and my best pal just standing outside and the rest went in to the castle also some people went a walk along the river. 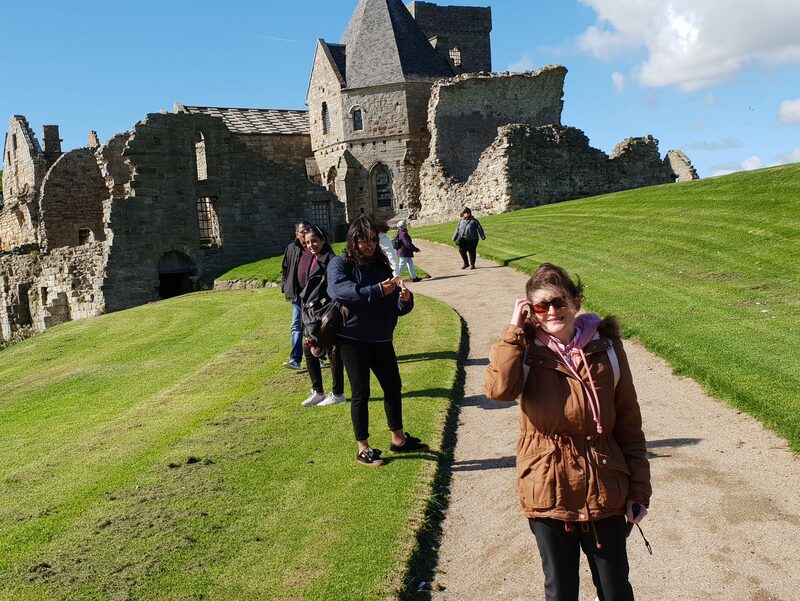 It was cool to see Doune Castle and the rest of the destinations, we really had a great fun. The service we all got from Scott, Joe and Steven was outstanding, they really done an amazing job taken good care of us. Scott was the Guide and he was fantastic keeping us entertained with his witty chat plus really impressed with Joe also Steven was really amazing taking good care of us driving the coach for this day tour, just perfect. I would totally recommend this Scottish day tour with Lothian Motorcoaches as they where outstanding taking people around Scotland. Visit https://lothianmotorcoaches.com/?gclid=CjwKCAjw-dXaBRAEEiwAbwCi5lgZ2ZZhuTvDIFg0w6NI3X3FP1no1LSQOcZdS2vcUJzfaUPuESF2URoCHyAQAvD_BwE for more information or to book your tickets.